Rocío Pérez is the President & Founder of Inventiva Consulting, LLC (Inventiva). Inventiva is a leadership breakthrough organization that guides leaders through strategic easy step-by-step systems to enhance leadership, mindset, marketing and business strategies. Inventiva helps leaders achieve results with less time and effort to deliver the best results by delivering a powerful 7 Proven Step Leadership process to take people from where they are, to where they want to go. Inventiva inspires and motivates leaders and employees to deliver their very best by transforming them from the inside out. Individuals become even greater leaders because they discover and apply their hidden talents. She is the former President and CEO, Definitive Marketing, LLC, a multicultural marketing consulting firm. Ms. Pérez is a dynamic bicultural entrepreneur who has developed innovative marketing and branding strategies with a focus on multicultural markets and social responsibility. Ms. Pérez’s clients are located in: the US, Mexico, Canada, Puerto Rico, El Salvador and Brazil. They include: New Peaks; Powerizer; Clinica Tepeyac; CREA Results; University of Wisconsin; Centro Hispano de Milwaukee; Fresh Start; Latino Chamber of Commerce of Boulder County; FHF Construction; AfricaU International Radio; Department of Economic Development of Longmont; Environmental Health, City and County of Denver; Denver Great Kids Head Start, Mayor’s Office for Education and Children; Denver Public Health; Colorado Statewide Parent Coalition; Denver Public Schools; Rocky Mountain SER Head Start; Clayton Foundation; Community College of Denver among other local, national and international organizations. 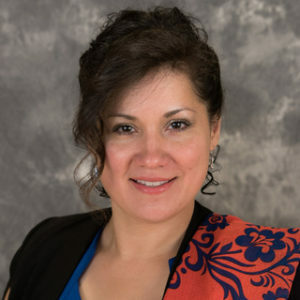 She has served as an expert panelist for the Innovations in Hispanic Marketing Conference and the Latino Chamber of Commerce of Boulder County. She has presented at the Knight Foundation/NAEYC National Conference, Colorado Association for Bilingual Education, the La Raza Youth Leadership Conference and at the World Trade Center in Tijuana, Mexico. Ms. Perez’s leadership and marketing workshops include: Inspiring Greatness Creating the Life You Want, How to Create a Roadmap for Success, The Secrets of Marketing, Strategic Marketing, Market Like A Rockstar and The Power of Personal Branding and Trade Show Success. Ms. Pérez is the host of “Inspiración Latina” a Spanish radio show designed to assist individuals take massive action toward their dreams. Ms. Pérez is a mentor and moderator for the Stanford Latino Entrepreneur Leadership Program. Rocío is the co-chair for the 2016 Bond Oversight Committee. She is a principle facilitator for the First GEN Professional Development Program for the Class of 2017. She was a nominee for the Inspirational Leader of the Year for the San Diego Magazine’s “Latinos Making a Difference” Award. She is co-authored/contributing author of the following published works: Parents Are the Power! Toolkit for Creating Change and an article for “Multicultural Marketing and Consumer Well-Being in Underserved Hispanic Neighborhoods” published in The International Journal of Social Health Information Management (IJSHIM). Rocío’s former leadership roles and affiliations include: President of NSHMBA San Diego Chapter; The Greater San Diego Business Association (CA); the Hispanic Chamber of Commerce (CO and CA); the National Association Hispanic Real Estate Professionals (CO and CA). In addition, Ms. Pérez is the founder of the Inventiva Fund and the Emilio Manuel Pérez Fund a non-profit and fund focused on breakthrough leadership development for families, children and individuals. Ms. Pérez educational attainments include: a Dual MBA in International Business and Marketing (Regis University), a Certificate in International Entrepreneurship (University of Colorado) and a B.S. in International Business (University of Colorado).